Novapura Ltd. was founded in 2006 and has evolved from a pure trading company to a provider of comprehensive disinfecting solutions. We offer a toolbox to our customers to solve any micro-organism (bacteria, mould, virus etc.) induced problem. The room disinfection is our traditional business. Numerous, well-trained partner companies perform mold remediation, odor neutralization, bio decontamination and disinfection of large rooms. Our antimicrobial additives are used in the coating industry and in plastics. We also have a range of own antimicrobial coatings. In this area we operate internationally. The engineering section combines the knowledge of room disinfection and additives to individual solutions for industrial companies. 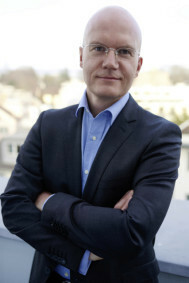 Thomas Müller is the owner of the company, born 1967, Swiss citizen. He has 9 years of international industry experience in various senior management positions. He led, in the position of managing director, an international trading company with focus China successfully through the start-up phase. He has held various directorships. Thomas Müller has an M.Sc. of the Federal Institute of Technology Zurich (ETH) and an MBA from the University of Chicago Booth.